WELCOME BACK, USAGI! HAVE SOME NINJAS! While spring showers usually bring May flowers, they will bring something far more exciting this year: the triumphant return of Stan Sakai and his beloved rabbit ronin in Usagi Yojimbo #145! For the first time since February 2012, Usagi is back in his ongoing series, and there’s no stopping his adventures. 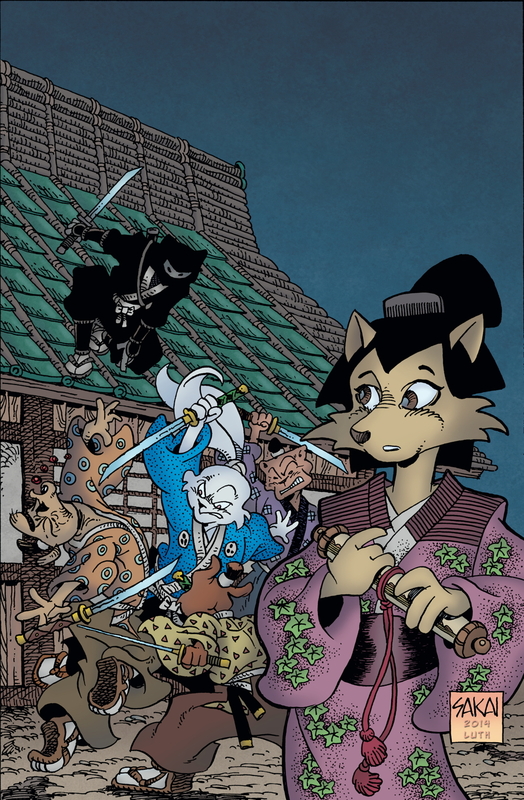 Kicking off with a new one-shot story in Usagi Yojimbo #145, the series continues as Usagi finds himself caught up in a fight between his thief friend Kitsune and a ninja intent on getting the mysterious scroll Kitsune’s stolen, at any cost! One of NPR’s best books of 2014, the long-running series by Stan Sakai has garnered a vast amount of critical acclaim, and the return of the Usagi Yojimbo ongoing series heralds the fantastic next chapter in Sakai’s incredible saga. Don’t miss out on Usagi’s return! Preorder your copy of Usagi Yojimbo #145 today from your local comics retailer!